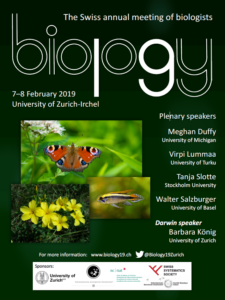 As most of you should know, the next biology19 shall take place on 7/8 February at the University of Zurich Irchel. 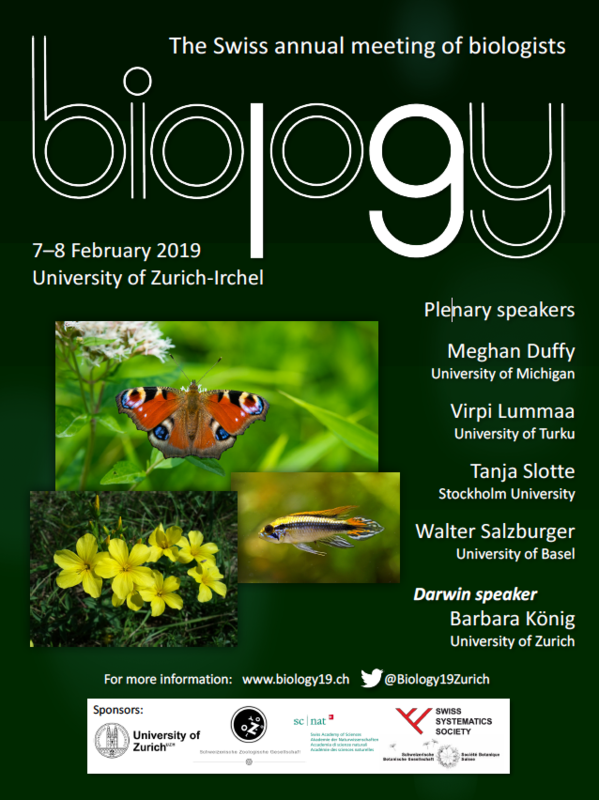 The web site just went on line: (https://www.biology19.ch/). A corresponding flyer for distribution is attached. Please pass on this E-mail to all your interested colleagues for information and advertisement. Abstract submission and registration will open in November and go until Christmas. 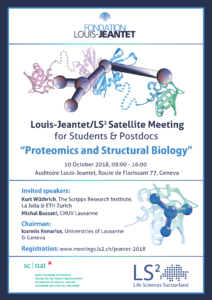 We still have remaining places in the free Satellite Meeting for students & Postdocs on “Proteomics & Structural Biology”, October 10, 2018, at the Louis-Jeantet foundation in Geneva. The registration deadline is September 17, 2018. 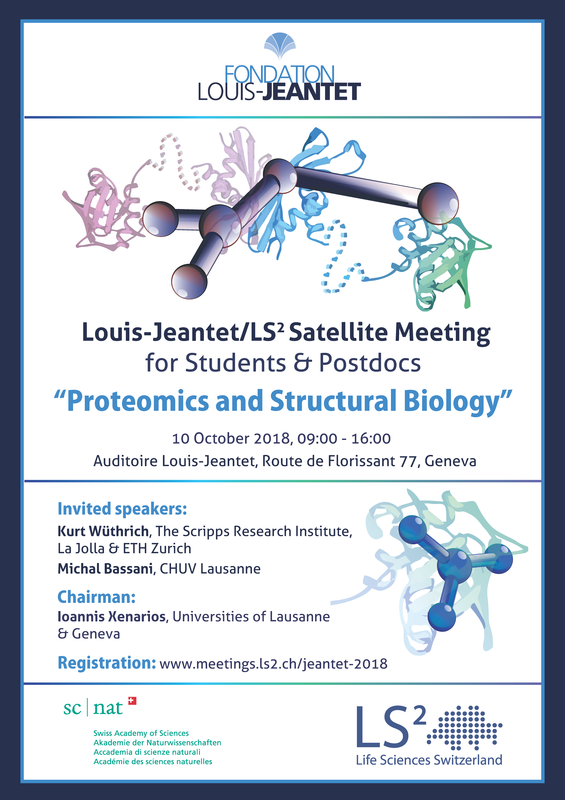 Life Sciences Switzerland (LS2) and the Louis-Jeantet Foundation co-organize a free Satellite Meeting on “Proteomics & Structural Biology”for 30 students and Postdocs at the Louis-Jeantet Foundation in Geneva on October 10, 2018. It takes place on the day after the Louis-Jeantet Symposium 2018 on the same topic. Two outstanding plenary speakers, the Nobel Chemistry laureate Kurt Wüthrich (The Scripps Research Institute La Jolla (US) and ETH Zurich) and Michal Bassani(CHUV Lausanne)will be joining the satellite meeting, give a talk themselves, and comment on the participants’ talks. The chair of the meeting will be Ioannis Xenarios(UNIL/UNIGE). Registered participants of this satellite meeting that also attend the preceding Louis-Jeantet Symposium (October 9), will join the speakers for the following Apéro and casual dinner. This is an excellent opportunity for the students to approach the speakers, get inspired, build their network, and exchange ideas! The registration deadline is September 17, 2018. Please find attached the flyer to the Satellite Meeting. I would be happy if you could spread this info in among interested students & Postdocs. Don’t hesitate to get back to me if you have any questions. 12:00 – 12:15: Joint kick-off event between the new doctoral schools “UNIL Quantitative Biology” & “EPFL Computational and Quantitative Biology“. 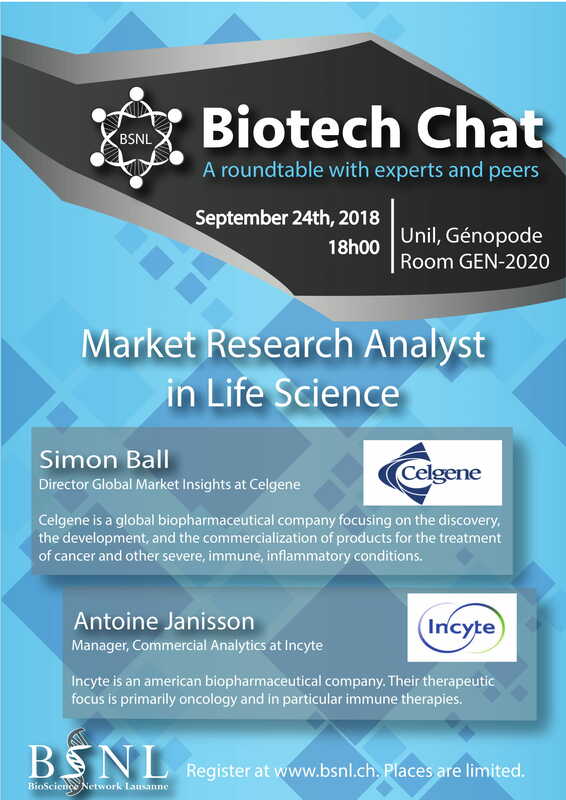 The goal of this meeting series is to bring together various UNIL, CHUV and EPFL groups who are active in Computational and Quantitative Biology. This 7th event will take place at UNIL Auditorium A in the Genopode building. The meeting is organised and supported by the UNIL Department of Computational Biology.